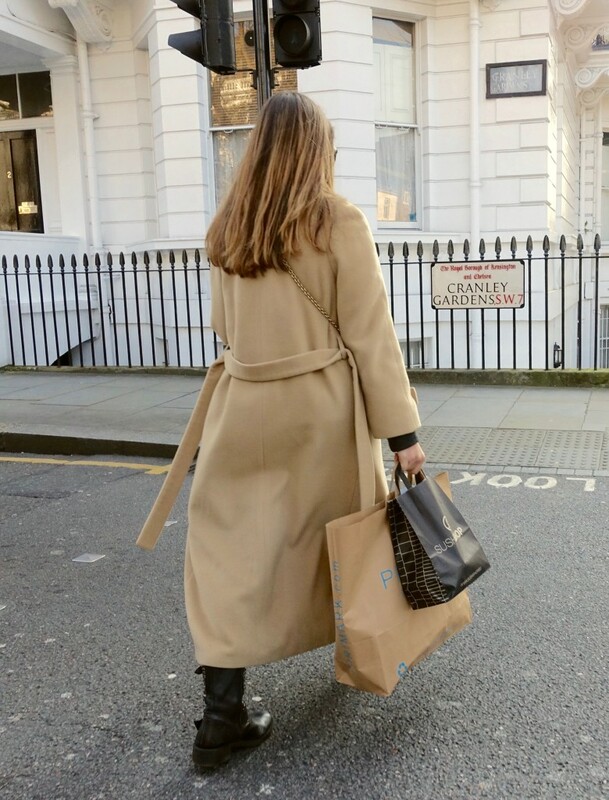 There is something so grown-up about a camel coat. Maybe that’s why I got my first one a couple of weeks ago. I guess you could say I’m a late bloomer. I mean, I didn’t start collecting white button-down blouses until just last year! Similar to the case of white (as in “white button-downs”), I also figured out long ago that the color beige is not a blonde’s best friend. It usually makes me look washed out and colorless. And for the longest time, I equated beige with boring. 2) It instantly lightens up an otherwise dark-colored outfit. My favorite way of wearing it is with all black – definitely spring-worthy. 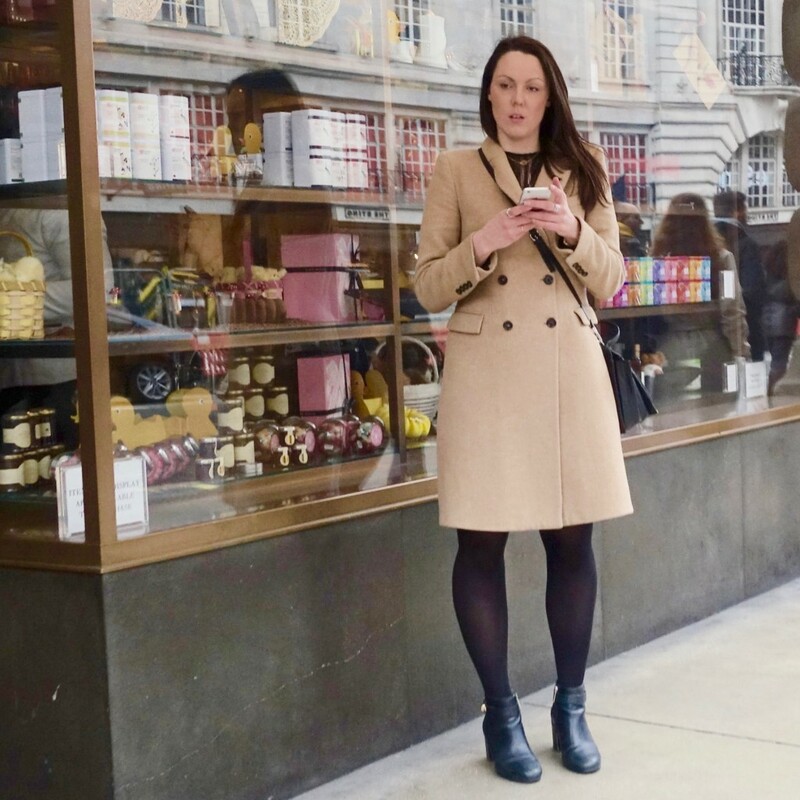 A shorter camel trench is especially flattering on this petite lovely. 3) It is simply timeless and classic. 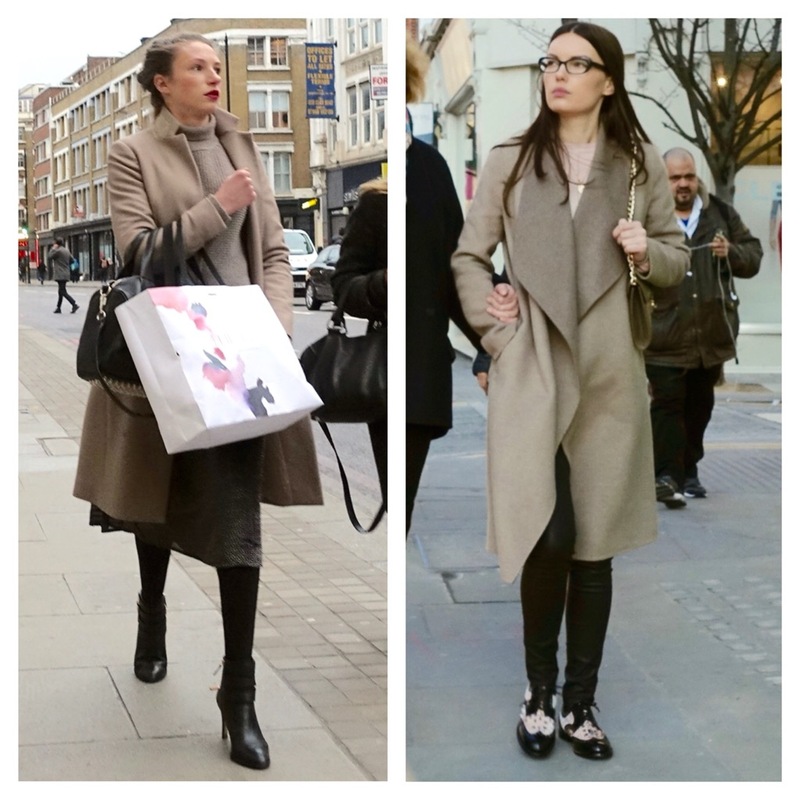 A camel coat is no less popular among current fashion icons than it was with Marilyn Monroe and Audrey Hepburn. Today it’s part of many an off-duty model look. I love the way the woman below and to the left combines a camel peacoat with matching sweater, brown skirt, and black tights/boots for an ombre effect. Or a little variation on the theme (wider lapels as seen to the right) is also nice. This is how I style mine for work. Although I adore classic cuts, I fell in love with this unique lovely at a luxury consignment boutique On Que Style near L.A. I especially like the bow in front and its clean lines. Work ensemble, including a Theory camel coat and very grown-up button-down blouse. 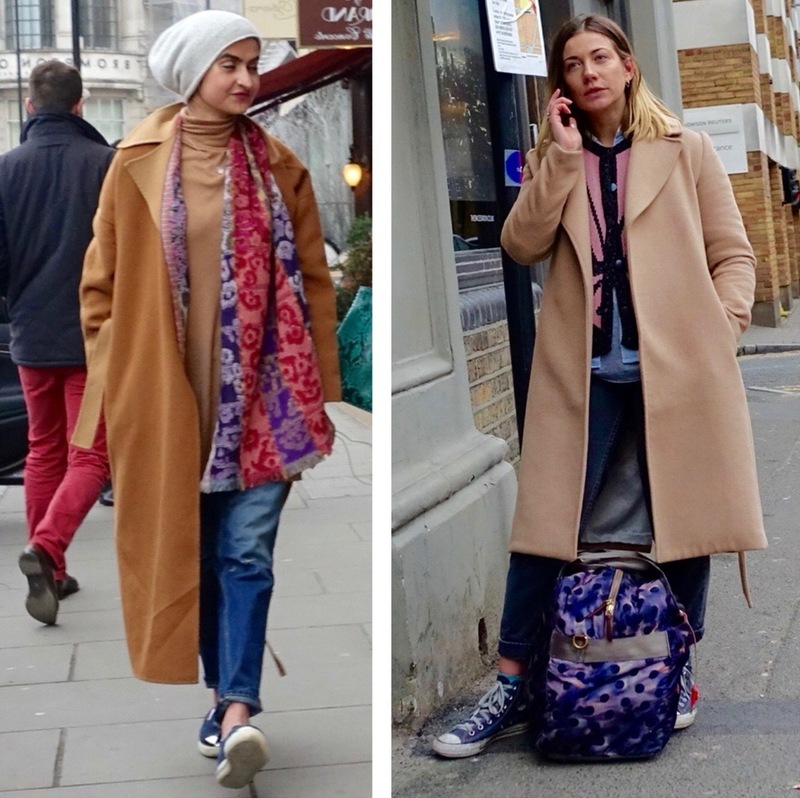 Unless you already have and love a camel coat, I highly recommend that you consider getting one at some point. If it is well-made and you don’t end up wearing it to threads, it is something you’ll enjoy for years to come. What are you waiting for? high-end, extra affordable or something-in-between wool/camel hair. A classic! How cute are you?! CUTE!